It is great to wake up in the morning with the sun shining and birds chirping. New day, new you. The eagerness of getting out of the bed and take the day’s challenge head-on. It is a great feeling looking forward to the new day. Okay, I might be slight over-exaggerating this a little. I am sure there are a lot of morning people out there but unfortunately, there are also people who don’t feel completely human unless they have a cup or two of coffee in their system. Today’s article is aimed at all the coffee and non-coffee drinkers, alike. 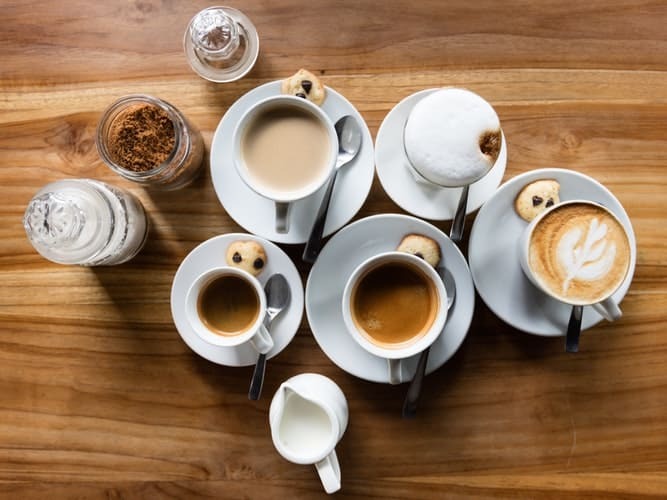 If you are tired of drinking the tasteless instant coffee or overpriced coffee shop specialty, then this article is totally for you. If you are the kind of person who keeps wondering how to make coffee more exciting, then take a seat and keep scrolling. Today we will talk about Ninja. No, not the Japanese assassins. We will talk about the Ninja Coffee Bar Brewing System. The latest and shiniest coffee maker with tons of unique features. We will talk about how to choose the right coffee maker and give you our top 3 picks. So let’s get started. 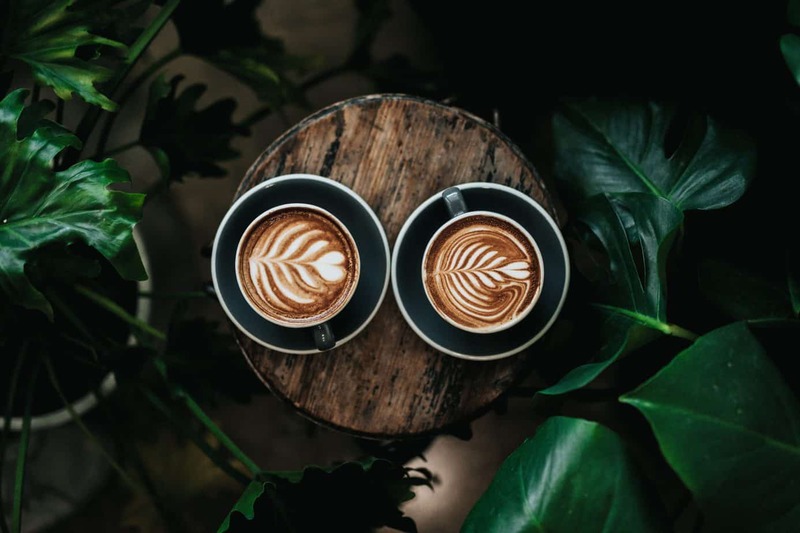 But first, we will take a moment to talk about some of the astonishing benefits of coffee and try to convert you into a fellow coffee drinker if you aren’t one already. If you are not already a coffee drinker there are various reasons why you should start drinking coffee. Coffee is a liquid that is delicious in all its form and besides giving your system a boost of energy also has other health benefits. It has a lot of health benefits including weight loss and quickening of metabolism. It also increases your mental capacities. An amino compound called adenine is produced in the brain. This compound works as an inhibitory neurotransmitter and makes you feel fatigued and dull. Coffee helps block this compound and helps in the synthesis of feel-good hormones such as oxytocin, dopamine, and norepinephrine. All these neurotransmitters help to enhance your brain capacity and make you more focused and sharper. Coffee is great as a weight loss supplement too. Caffeine which is the key ingredient of coffee and gives it its uniqueness is found in almost all weight loss and fat burning supplements. It is a natural fat burning substance and can help increase your metabolic rates by 3-11%. Coffee contains antioxidants and flavonoids which give your entire system a boost and rejuvenate you. Coffee also helps increase as well as improve your physical performance. Consumption of coffee results in the synthesis of a hormone called adrenaline. This hormone is also called the fight or flight hormone. This hormone prepares your body to undergo extreme physical activity. 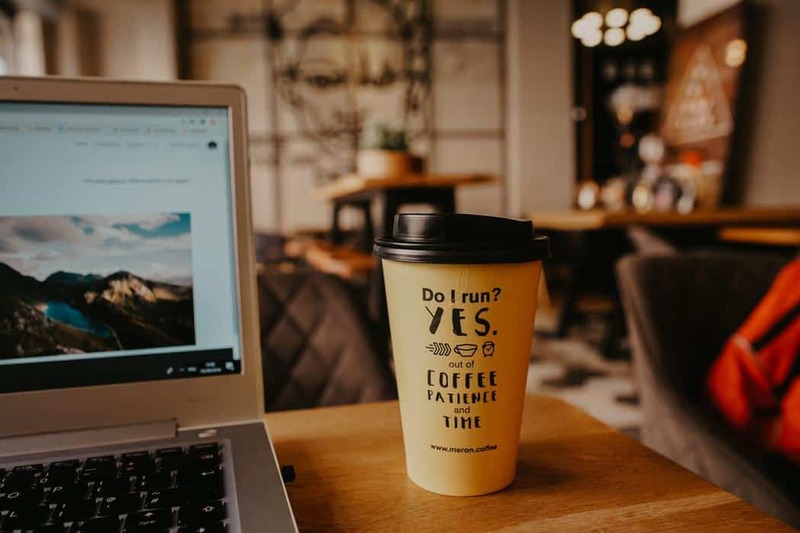 In fact, lots of studies prove that consuming coffee just before a workout helps you burn a considerable amount of fat by pushing your body for peak performance. Physical exhaustion is, comparatively felt less by the body than without coffee. Coffee is also nutritionally beneficial. It contains minerals and vitamins like Riboflavin or more commonly called vitamin B2, Pantothenic acid which most people know as vitamin B5, Manganese, Potassium, Magnesium, and Niacin acid which is Vitamin B3. Most of these substances are harder to get from the diet but they are very much needed by the body. It is also proven that people who drink coffee have a lower risk of being diagnosed with diseases and disorders like Type 2 Diabetes. Coffee drinkers also have a low risk of neurodegenerative diseases like Alzheimer’s disease, Parkinson’s and even dementia. Most of these diseases have no known cure and at the moment prevention is better than cure. In the case of Parkinson’s, the disorder occurs because there is rapid degeneration of neurons that function in the synthesis of dopamine. 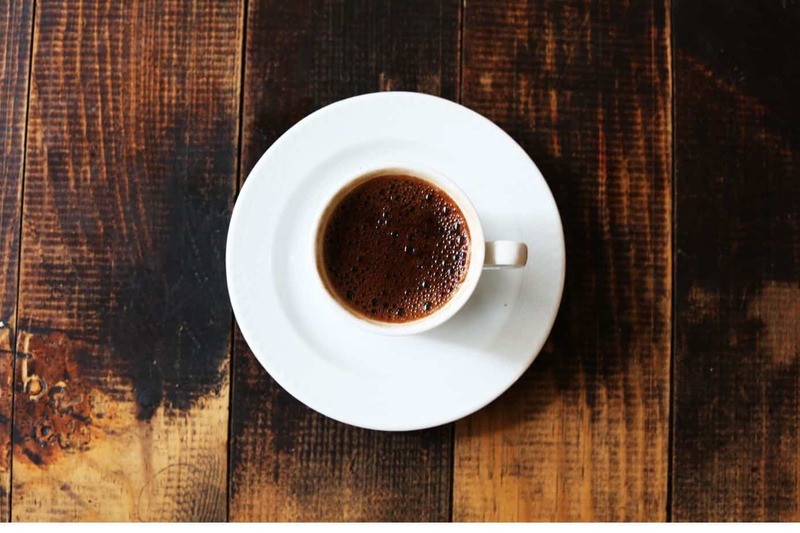 Since coffee contains neurotransmitters that help in the production of dopamine, the risk of Parkinson’s for people who consume coffee is relatively lower. Cirrhosis is another disease that is proven to be low risk in coffee drinkers. Cirrhosis is a disease that affects the liver. Cirrhosis causes large scar tissues to form on the liver and put a hamper on its function. As we all know, the liver is an immensely important organ so any damage done to it will be felt by the entire body. Coffee helps reduce this risk by up to 80%. Coffee also helps reduce the risk of severely life-threatening conditions like cancer. Or at least some forms of cancer. Coffee is very efficient against reducing the chances of liver cancer and colorectal cancer. As of 2016, liver cancer is the sixth most leading cause of death in the entire world. But studies are finding that consumption of coffee can significantly lower this chance by up to 40%. Coffee is also a preventer of pulmonary disease, cardiovascular diseases, and other heart diseases. This property of coffee is making it a popular recommendation of healthcare specialist and even doctors. Coffee plays a significant role in improving your mood and making you happier than you normally are. Remember those feel-good neurotransmitters that we talked about? Dopamine, oxytocin, and norepinephrine work differently in the brain. Dopamine’s function is to make you feel happy. This is the same transmitter that is generated in your brain when you eat your favorite chocolate or when you hug the person you love. Dopamine improves your mood and makes you feel pleasant. This property of coffee also helps it ward you against depression. Depression is the result of little to no secretion of those feel-good hormones and neurotransmitter. 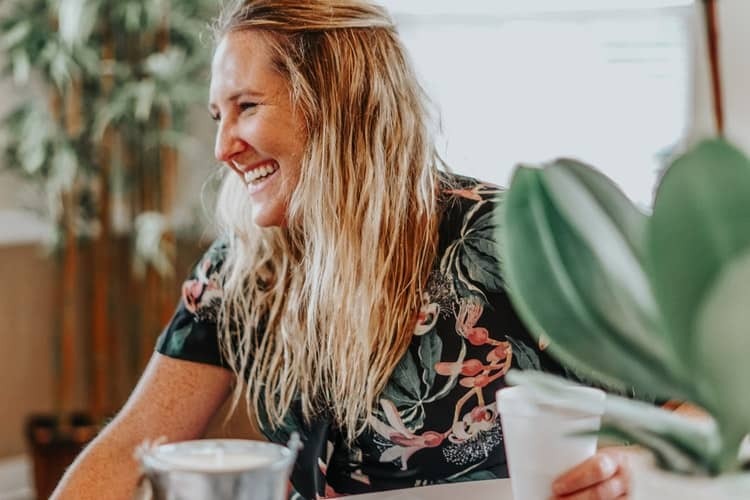 This is rectified by coffee by helping the brain to generate these happy hormones in abundance and therefore make you less susceptible to depression. Coffee also helps in reducing inflammation, helps enhancement of DNA repair, and supplies your body with good cholesterol as well as essential fibers. It also helps in the preservation of muscle mass and reduced muscle soreness. Coffee also protects the system against strokes and helps lower the risk of estrogen receptor-negative breast cancer in men as well as female. Coffee also helps in regulating the bowel movement. Coffee, surprisingly, is a good catalyst for healthy skin. The antioxidants present in the coffee helps to maintain the skin elasticity as well as keep it soft and smooth. The antioxidants help to detox your system and enable it to work more efficiently. Coffee also promotes healthy eyes. Coffee protects your eyes against damaging conditions like cataract, retinal damage, and eye spasm. It also reduces the chances of erectile dysfunction in men and therefore promotes a healthy sexual life. If all these reasons are not enough to convince you about the merits of consuming coffee then let us convince you with a simple reason. It helps you get yourself out of the bed and boost your energy levels. We know all about the struggles of getting up when all you want to do is sleep for five minutes and keep stretching those 5 minutes into hours. But we have obligations. Coffee gives you that extra motivation to leave your bed and face the day. Now all these fantastic benefits of coffee do not mean that you should start chugging down gallons of coffee. As the saying goes too much of everything is bad. So for maximum benefits limit your coffee consumption to 1 or 2 cups or mugs a day. Too much of coffee will make you jittery and sleep deprived. It is also important to remember that if you do consume coffee try to have it in the morning. 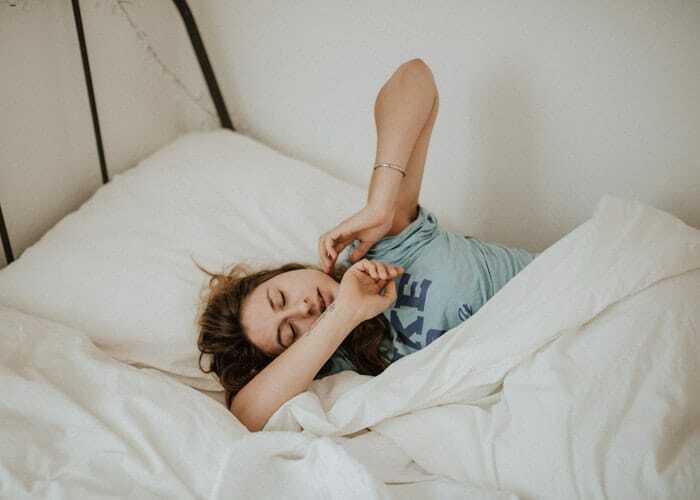 Generally, avoid having coffee after evening because then the caffeine will interrupt with your circadian rhythm and sleep cycle and you will be unable to sleep. You will feel drained, fatigued and sleep deprived. Also don’t go overboard with coffee. 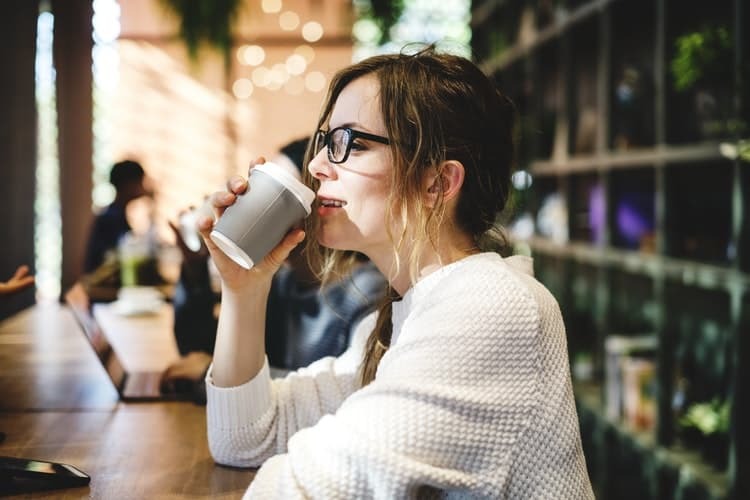 Caffeine is a type of drug and while it is immensely beneficial in limited doses but if you overdo it, you will get addicted to it and start depending on the caffeine to for your day-to-day tasks. Also if you have a sweet tooth and prefer to have your coffee with lots of sugar, cream and other yummy delicacies then remember it won’t help you in weight loss. So don’t be disappointed and surprised when you watch the weighing scale not go down even though you are loading up on an appropriate amount of coffee. If you take a stroll to your local Starbucks or local coffee shop, then you will be surprised by the sheer amount of choices available. There are so many options that you can have new flavors every day and still not run out of new options. You have a cappuccino, mocha, black coffee, espresso, Americano, latte, ristretto, coffee with froth and so many more options. Even the coffee beans used to make the coffee as well as the brewing process influence the taste of the coffee. There are several types of different coffee beans. Each has their own unique smell and taste. The way these coffee beans are processed enhances their unique flavor and is largely responsible for the much appreciated and delicious coffee that helps us to kick off our day. The process of grinding and brewing are the two factors responsible for the taste of coffee. 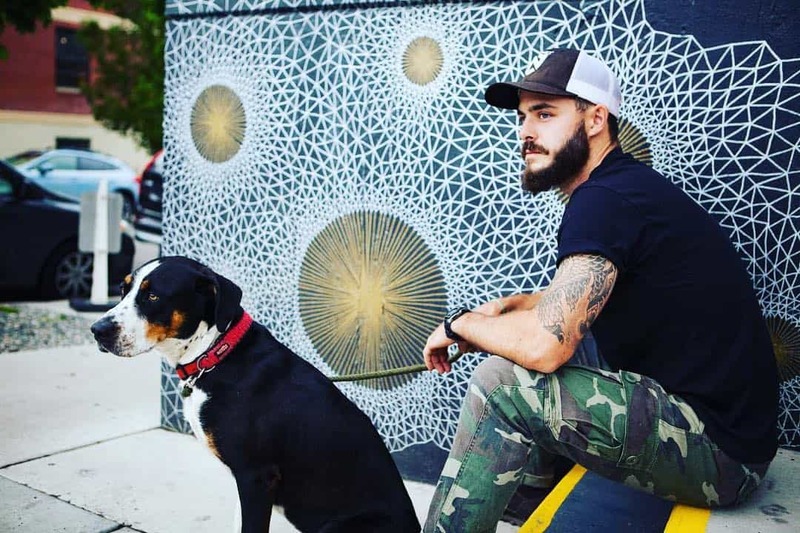 Every coffee place like Starbucks, Dunkin’ Donuts and your local hipster coffee shops have their own grinding and brewing process. Sometimes these processes are even kept under lock and key and kept away from the prying and curious ears of the general people. You have medium ground, dark roast, fine ground, medium fine ground, ultra-fine ground, medium roast, light roast, medium dark roast, and more coffee grounds. Each of these grounds results in a delicious cup of coffee with a smell and a taste that is unique to them. There are different methods for grinding too. In this article, however, we are not going to talk about the grinding process. We are going to focus on the brewing method. Brewing is the process of pouring hot or warm water onto ground coffee beans and then allow them to mix with the water or brew. The water is absorbed by the ground coffee beans and is then filtered. The ground coffee beans are separated from the filtered coffee which gets collected in a pot or a carafe and is then drunk. So the main focus here is the filtered coffee, not the ground beans. There are different brewing methods. With the upcoming technologies and innovation, you have so many brewing techniques to choose from. There is the French press, Aeropress, coffee bag, percolator, vacuum pot, Turkish press manual pour over coffee, automated or machine pour over coffee and espresso machine. When brewing coffee all the factors should be compatible with each other. The coffee beans you are using should be suitable to the brewing as well as the brewing method you are using. Other less subtle factors also determine the taste of your coffee. Brew ratio is the ratio of water to coffee, it is one of the subtle factors along with the uniformity of the grind size, the time is given for brewing also called extraction time as well as the temperature of the water. All these factors are very subtle but they make or break your coffee. If all these factors are in harmony with each other, then there is no doubt that in the end, you will have a delicious cup of coffee. It may sound complicated but it really is not once you understand the mechanics of it. We will dive a little dipper into the brewing mechanics. We talked about the compatibility of coffee beans with brewing technique. Well then, which coffee ground is best suited for which brewing method? We will talk about some of them. For medium grind or coarse grind, the best brewing technique is using a French press. The coffee prepared using French press is for immediate consumption and it has a rich aroma and taste. This is probably because the oils on and in the coffee beans are thoroughly mixed with the water. A French press is a cylindrical glass carafe or container having a mesh filter inside. His mesh filter separates the ground coffee from the water. When you want a freshly brewed French press coffee, you just press a lever which strains the ground coffee beans and separates it from hot water. Espresso is the most common and preferred coffee. The brewing method for espresso is done using an espresso machine. Here, the coffee beans used are of fine grind. They look a lot like powdered brown sugar. Espresso is richer in taste compared to other types of coffee and it is also frothy and creamy. Espresso machines have a portafilter where the ground coffee is placed. Once the water is pressurized enough to convert the finely ground coffee beans into liquid, the brewing process begins. Espresso takes a very little time to brew. A single shot of espresso takes as less as 20 seconds to brew. The Aeropress is probably the only brewing technique where the size of the coffee grind is not very essential. In this technique, you have complete freedom to choose the size of your grind based on your mood or taste. Aeropress gives a very rich and smooth brew in less time. A typical Aeropress unit is composed of three units. The main cylindrical body, the Aeropress filter and lastly, the Aeropress Stir Stick. It is very easy to use, quick, easy cleanup, portable and gives a delicious cup of coffee to make your mornings more tolerable. Now that we got these details out of the way, let us talk about the star of this article. The Ninja Coffee Bar. In today’s article, we will talk about this up and coming brand Ninja and their approach on how to make a perfect cup of coffee in your very home. The principle that is strictly followed by the company is that the best coffeehouse in the town is at home. Ninja is a house-care developmental brand under the company SharkNinja, which is best known for selling small household appliances and cleaning solutions. The products manufactured and distributed by SharkNinja are aimed to fit perfectly into the lifestyles of people who are busily progressing in life and need a product that will make their life a lot easier. With its pioneering work in the household products as well as their innovative solution, it is no wonder that SharkNinja is leading the household appliance sector and is at the top of the game. SharkNinja introduced several products that people readily accepted into their lives such as steam mops, innovative blenders, and many more such state-of-the-art products. Ninja is becoming well-known for their smart coffee and tea makers, food processors and blenders and cookers using latest of the engineering techniques. However, in recent years, Ninja is gaining steady momentum and fan-following for their smartly designed coffee makers. 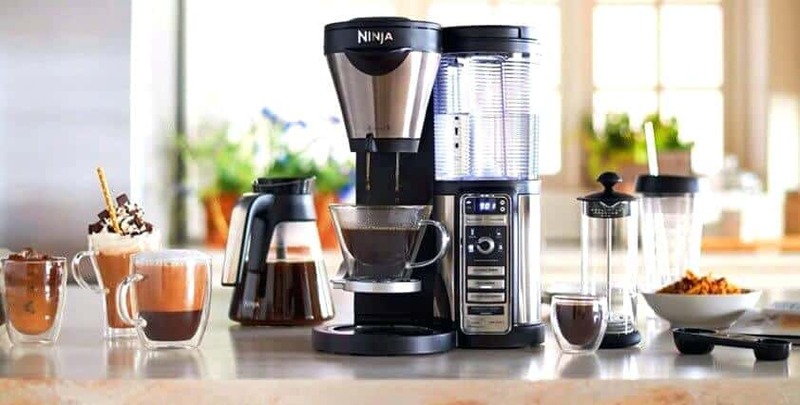 Today we are going to talk about these coffee makers and give you tips and tricks on what to look for when you are choosing a Ninja Coffee Bar to bring the goodness of an authentic coffee shop into your home. Ninja Coffee Bar is taking over the coffee enthusiast by all the cool features it has. Ninja Coffee Bar is loaded with options and this feature is making it favorite among a lot of people. Each Ninja coffee maker has 4 different settings while some of the models can even have the option of making 5 different drinks. The 5 options that are present in every Ninja Coffee Bar are classic brew, rich brew, over ice brew, specialty brew and in case of some models café forte brew. The classic brew is just what it sounds. It is your everyday run-of-the-mill brewed coffee but with a smoother texture. The rich brew, as the name suggests, is a richer brew than the classic coffee. It is especially great for people who love their coffee with some milk or a dollop of cream. The over ice coffee is designed for people who love nothing more them a shot of cold coffee to refresh themselves with. You can even get creative and make different flavor ice coffee. The specialty brew packs the punch of a traditional coffeehouse espresso or latte at home. Café forte is the ultimate coffee. It brings all the good things about coffee in a mug. The rich aroma, taste, and everything that makes coffee what it is if that is what you want then definitely opt for a model with this setting. Besides the variety, another cool thing about Ninja Coffee Bar is the new smart water system it uses called Auto-IQ. This system is great because you don’t have to measure the amount of water. Simply choose the desired brew and the serving size and the water will be adjusted automatically. Pretty neat, if you ask us. And since all the Ninja Coffee Bar are pod-free, you do not need to be specific about the type of coffee grind used. You can use whichever your heart desires and the result will be just awesome. 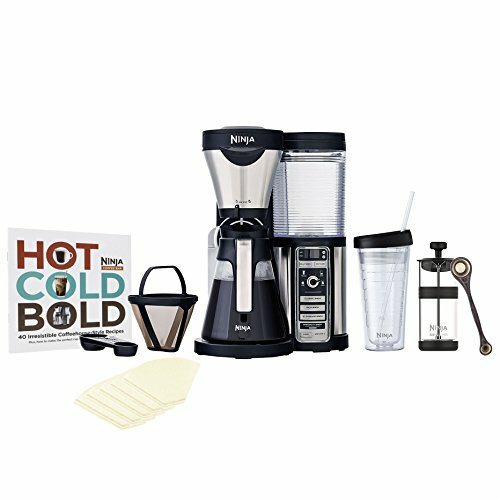 Other cool features like built-in hot and cold frother as well as two types of filters, accommodating with a travel mug, anti-drip and drip sensors, removable water reservoir and so much more, there is really no doubt why Ninja Coffee Bar is the silent assassin and quickly becoming a people’s favorite. Generally speaking, when you are choosing the best coffee maker for you, there are some standard points that you must keep in your mind. Let us discuss some of them. First of all your personal preference. What type of coffee do you like? 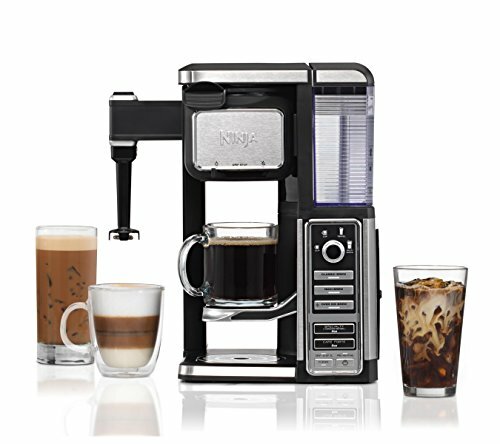 If you are someone who is always game for a cup of latte then it really would not make sense to buy a machine that does not support latte. So always keep your personal preference the first factor. Next is what type of coffee beans do you prefer? Whether you like finely ground, roasted or any other type should play an important role in your decision. As we mentioned earlier, each coffee ground needs to be compatible with the brewing technique. This one is a bit of a random point but we promise you it is perhaps one of the most important factors. You are probably going to place your new pride and joy, your coffee maker on the kitchen counter or breakfast bar or somewhere else. The amount of space you can spare for your coffee maker is important here. You do not want to store your coffee maker in a way that will cause it to get damaged or get exposed to harmful elements. So always take in the size of your coffee maker into account. Other additional features like the complexity of the settings, amount of options, how automated or ‘smart’ the system is and also the quantity of the coffee it can brew in each rotation all come to play here. If you like to brew just a cup or two of coffee per rotation then you can opt for that model and save some money. But if you are the type of person who likes to make enough coffee for your family or yourself first thing in the morning, then choose accordingly. It will be a bit more expensive than the single or double cup brewer but way better than having two separate coffee makers on your counter. There are various options available within Ninja Coffee Bar as well. There is the simple Ninja Coffee Bar system with Glass Carafe or model number CF080Z then there is also Ninja Coffee Bar system with steel container. 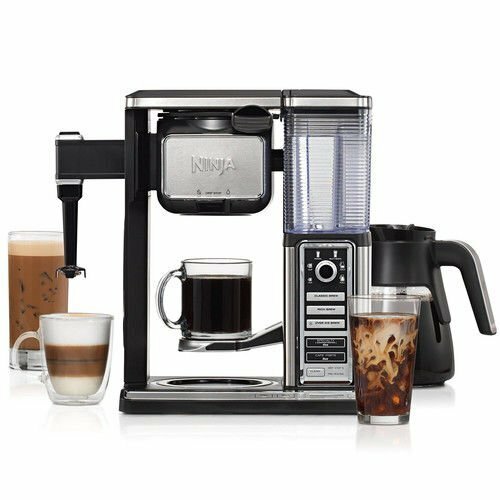 There are different models available here as well such as our personal favorite The Ninja Coffee Bar Single-Serve System with built in Frother or simply the model number CF112. Then there is also a Ninja Coffee Bar model CF091 and more. Each of these models is unique in their own rights although they use the same mechanism. The models are differentiated on the basis of features such as serving size options which range from a single cup to a full carafe, carafe type which are of two types the glass carafe or the double-walled stainless steel carafe, recipe books and lastly the variety of the coffee as we mentioned earlier. 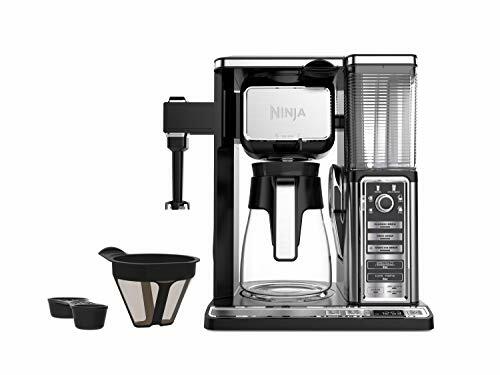 All the Ninja Coffee Bar models are pod-free, dishwasher safe parts, Auto-IQ system, and filters. So that is something to look forward to no matter which model you choose to buy. In case you need a little more help then we have given our top 3 picks and why we love it. So here we go. This is our topic pick and our personal favorite for several reasons. 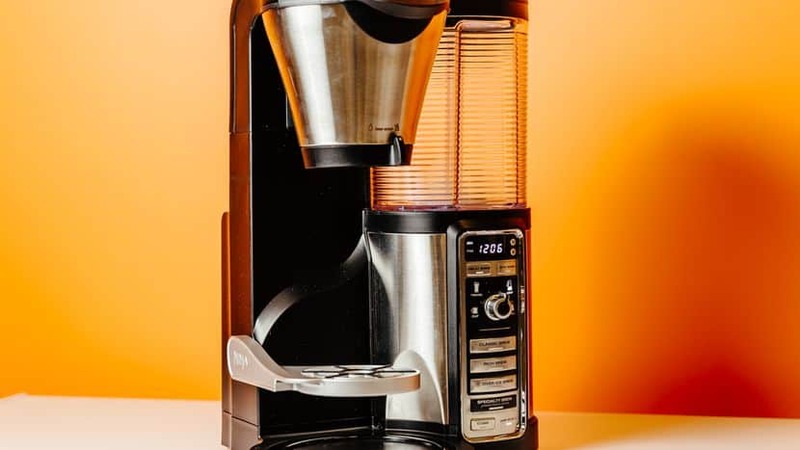 First of all, it has the capability of not only brewing a single cup of coffee but also an entire carafe in a single rotation. The carafe accompanied with Ninja Coffee Bar measures about 43 oz. so good for large quantity. The machine, however, has only 4 settings. The fifth ultimate coffee café forte option is not available with this version. It does not have a built-in frother as well so that is a bit of a bummer. The good thing about this is that the brewed coffee stays hot in the glass carafe for up to 2 hours so if you don’t immediately want a shot of hot Joe, then this is perfect for you. Another thing about this model is its small size. Its dimensions are 10.8 inches X 10.5 inches X 14.9 inches. This makes it the smallest unit then our other two favorite Coffee Bar. The thing we love about this model despite a few of its shortcomings is that it is cheaper. And personally, it meets our specificity so that is good enough for us. But if this model has not won your heart yet, then do not worry. We have other options as well. This coffee maker is meant for a single serving per rotation as the name suggests. It is less expensive but still packs in a heavy punch with tons of features. This coffee brewer is perfect for those who like to make a single mug rather than an entire pot. This machine has all the 4 standard settings for a delicious coffee as well as the additional fifth feature of café forte. If you want the ultimate coffee experience and want coffee in its entirety then this it for you. This model will more than satisfy your coffee cravings. The in-built frother is perfect for a cup of frothy and creamy coffee. It works great with all 5 settings and makes your morning experience something to look forward to. While the idea of a single serving might worry you it is unnecessary. We are here to tell you that despite only meant for single serving it has four size options available. There is a single option, an XL or a large cup, travel cup and lastly multi-serve option available. Even if you do not have the option of a pot of coffee, you still have 4 distinct and sufficient options to choose from. This is the last on our list of favorites. This coffee maker makes enough coffee for a single cup or a full carafe. So people stickler for quantity need not worry with this model. It is slightly bigger in dimension and that might be a problem for those that are looking for a small, dainty unit. This model is also armed with all 5 options of coffee as well as the milk frother that is built into the machine. The carafe is enough to serve up to 10 people in one go. That is definitely a good thing. The downside of this product is that it does not come with a to-go travel tumbler. This is a disadvantage for those who prefer their coffee on the go. This model is slightly cheaper than the first one in the price category. Those were some of our personal favorite Ninja Coffee Bar Brewing Systems. As we mentioned there were different reasons for picking them but ultimately if we had to decide just one out of all three then we would definitely go for the 3rd option. Ninja Coffee Bar with glass carafe or to simply put it model CF091 is the ultimate warrior. You get all the cool feature for less price and still will not have to compromise with the quality of your coffee. The built-in frother is hands down, our favorite thing about it. The coffee prepared, especially on the café forte setting is enough to make your mornings less of torture and more of a welcoming experience. Personally, I don’t feel awake until I have at least two mugs of coffee in me first thing in the morning so I like to have a machine that satisfies my quantity requirement. It is immensely flexible in all its function and not expensive enough to break your bank account and make your wallet cry. Before we wrap this up, we would like to talk some more about all the things we absolutely loved about this coffee maker. It does deliver on its motto and you can actually have tasty and delicious coffee in your own home that can rival any coffee shop. The smart water system Auto-IQ is a great feature to add here. It saves time by taking the whole water measuring experiment out of your coffee brewing process. The water is automatically adjusted based on your chosen setting. This makes the entire process less of a calculative science project. The other feature we loved is the pod-free system. This is not only good for those who do not have a particular preference of coffee beans but also great for the environment. We all know how harrowingly dangerous pods are to the environment and by mitigating that system we can do or a little bit for the environment without having to compromise with our coffee. It is usually a nightmare trying to clean a coffee machine after its use. This problem is also solved by Ninja Coffee Bar. It is so easy to clean and it also has parts which are dishwasher safe. So now you can have your coffee without worrying about the impending doom also called cleaning. Overall, there really are not many complaints with regards to this product. As long as you keep the deciding factors in your mind, I am pretty sure you will wind up with the Ninja Coffee Bar exactly meant for you. And remember, don’t go overboard with coffee, have it in the limited dose for its maximum benefits. With this, we will wind up today’s article and hope that you have gained the necessary insight to decide the best Ninja Coffee Bar for you. Stay Caffeinated!